House of Mutt Blog » Need a dog-walker? Fancy Ben Fogle for the job?! 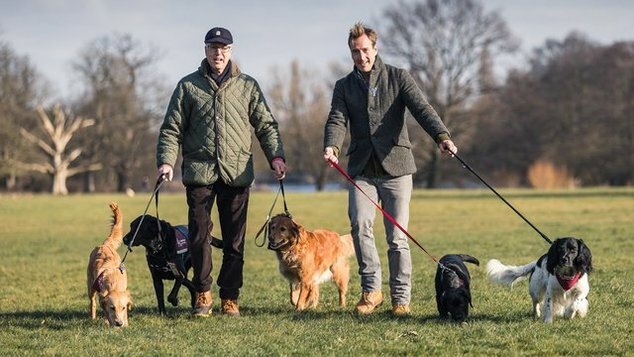 A dog walk by TV Presenter Ben Fogle is just one of the items on offer at the Protect Animals Greece auction on 10th May. Or a personalised and recorded poem from Sir Tom Courtenay; or a watercolour by Sir Quentin Blake; or a walk on part in Doc Martin with a helping hand from Martin Clunes. Great stuff that, as someone should have said sometime, normal money just can’t buy – but auction money can. Protect Animals Greece is the country’s first animal protection charity. A brilliant, positive step forward. If you’re wondering why we’re involved, London Veterinary Clinic’s Bruce Fogel is Chair of one of the supporting charities and has approached us to help spread the word. 80 or so guests are attending the evening from the LVC and House of Mutt supporters have been warmly invited to join them. If you are free on the 10th May and would like to support this a) fab cause and b) fun evening, please let me know. Or if you aren’t free perhaps you may consider making a donation to the charity? The auction items can be seen at www.protectanimalsgreece-auction.com where donatory details (if there is such a word?!) can also be found. Thank you – from all connected with animal welfare in general, and the newly formed Protect Animals Greece in particular.